Kinshasa/Brussels April 25, 2012—A massive increase in malaria cases in the Democratic Republic of Congo (DRC) is overwhelming existing treatment capacity, demanding a comprehensive and stepped-up response, the international medical humanitarian organization Doctors Without Borders/Médecins Sans Frontières (MSF) said today. MSF’s health centers and hospitals in DRC have observed a marked increase in malaria cases, including in its severe form. In six provinces—half of the vast country—the number of people treated for malaria in MSF projects has increased 250 percent since 2009, with the rise more sharp in recent months. The increase is particularly alarming due to the high number of severe malaria patients requiring hospitalization and urgent blood transfusions due to malaria-induced anemia. "Treatment outside the cities remains especially weak, due to unaffordability or geographic inaccessibility,” said Dr. Jorgen Stassijns, a malaria specialist for MSF. “In some areas, health care is simply non-existent. Even when treatment is available, the drugs are sometimes inadequate or outdated." In response to the increase in malaria cases, MSF has deployed additional emergency medical teams in four provinces in DRC. While the causes of the increase remain uncertain, the crisis is unfolding in a country with a health system sorely lacking resources at all levels. DRC lacks adequate medicines, medical supplies, and sufficient numbers of trained medical personnel. 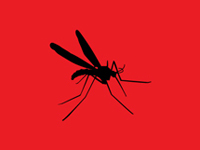 Malaria prevention and management systems are deficient. In 2009, MSF teams treated more than 45,000 people with malaria. In 2011, more than 158,000 people were treated, and so far in 2012 more than 85,000 people have been treated. 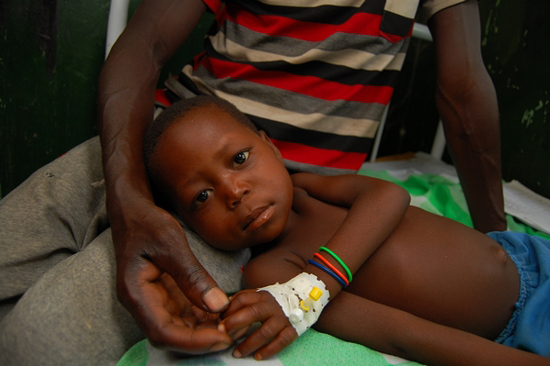 Malaria is the leading cause of death in DRC, killing approximately 180,000 children under five every year. MSF is developing research studies to better understand the possible causes of the dramatic increase in malaria cases. In North Kivu and South Kivu provinces, and recently in the northern area in Katanga province, ongoing insecurity and renewed fighting also prevent people from obtaining health care. In Maniema, Orientale, Equateur, and Katanga provinces, the limited presence of effective health care providers and overstretched health systems makes it difficult for people living in endemic areas to access prevention and treatment for malaria. While MSF’s emergency response is saving lives in the short term, the organization calls on other international health organizations, including the Congolese Ministry of Health, to increase their rapid and sustainable prevention and treatment measures.